I was very fortunate to be able to purchase this model from the Kenneth Eriksen collection in January, 2011. 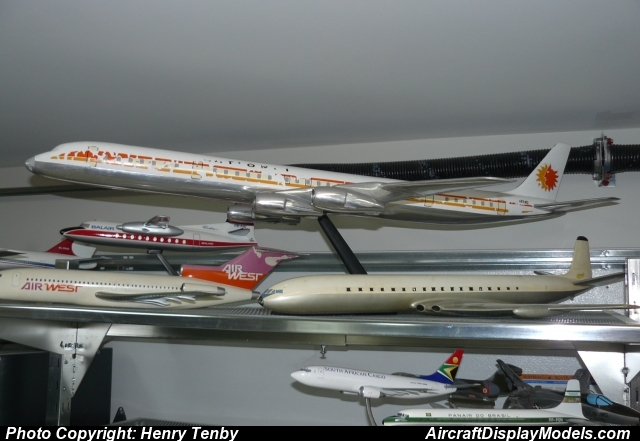 This type of model is very hard to find .. more so than the short DC-8 DFMs. I will need to touch up the cheatline and install new "National" titles when time allows. I think this kind of model is a once-in-a-lifetime acquisition.